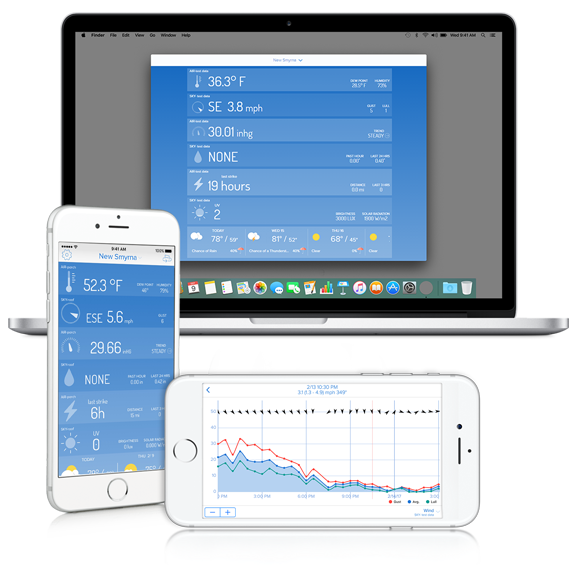 WeatherFlow Smart Weather Stations are the most advanced home weather stations on the market. Backed by the WeatherFlow network and proprietary Continuous Learning algorithms, these are the only stations in the world that auto-calibrate daily and directly feed applied machine learning models to improve forecast accuracy at your exact location. 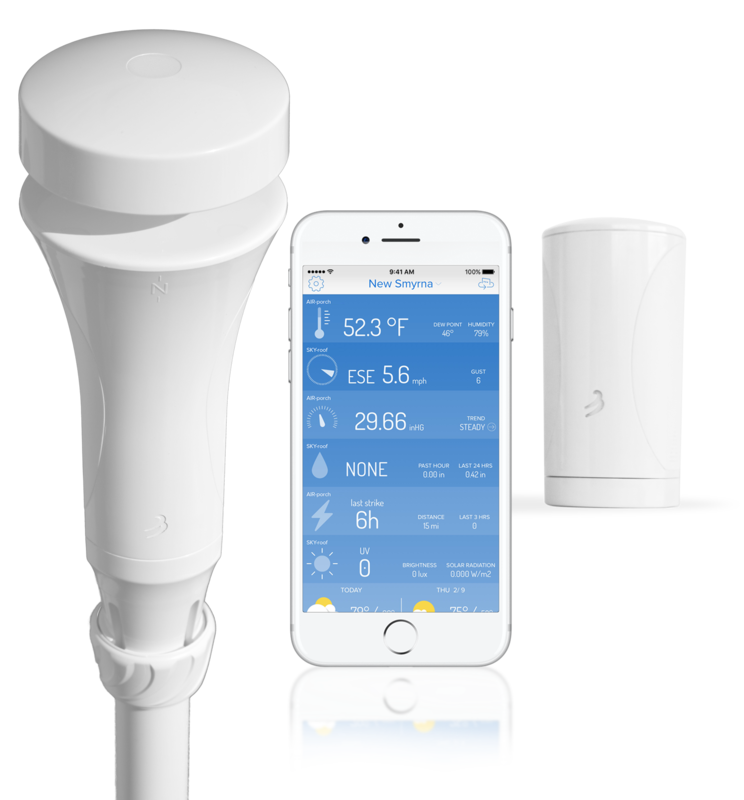 Revolutionary design: no moving parts to wear out, completely wireless operation, simple installation, instantly online, app-enabled, flexible data APIs --- this is not your grandfather’s weather station. Built for the modern era, use real-time weather data to automate smart home functions to save time, save money and keep your family safe. Protect your family when AIR detects lightning & warns you of approaching storms. 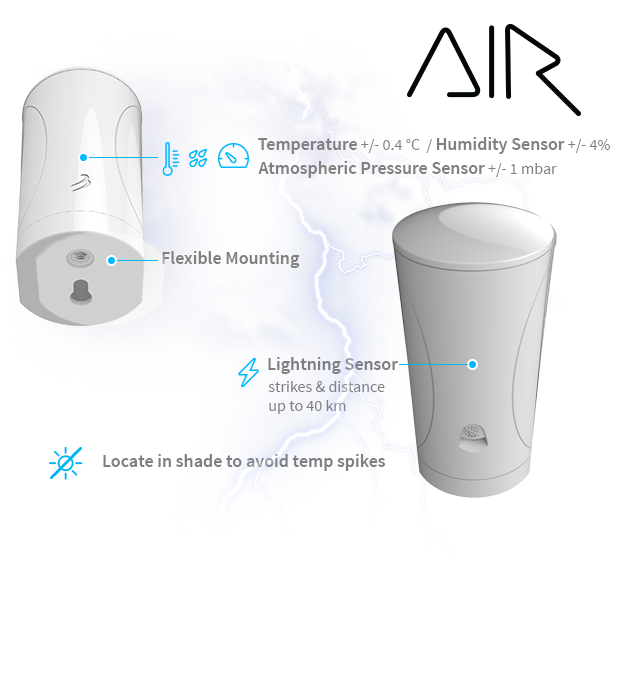 AIR also measures temperature, humidity, and atmospheric pressure. Long range wireless connectivity. Extremely long battery life. 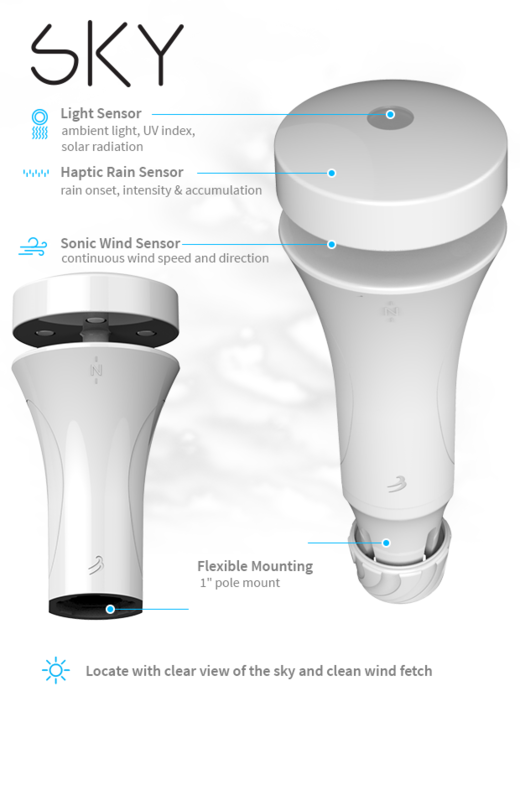 Encased in SKY’s eye-catching design, our revolutionary sensors detect rain drops in an instant, give accurate real-time wind speed & direction, and measure sunlight (including UV Index) - all with no moving parts to wear out or fail. 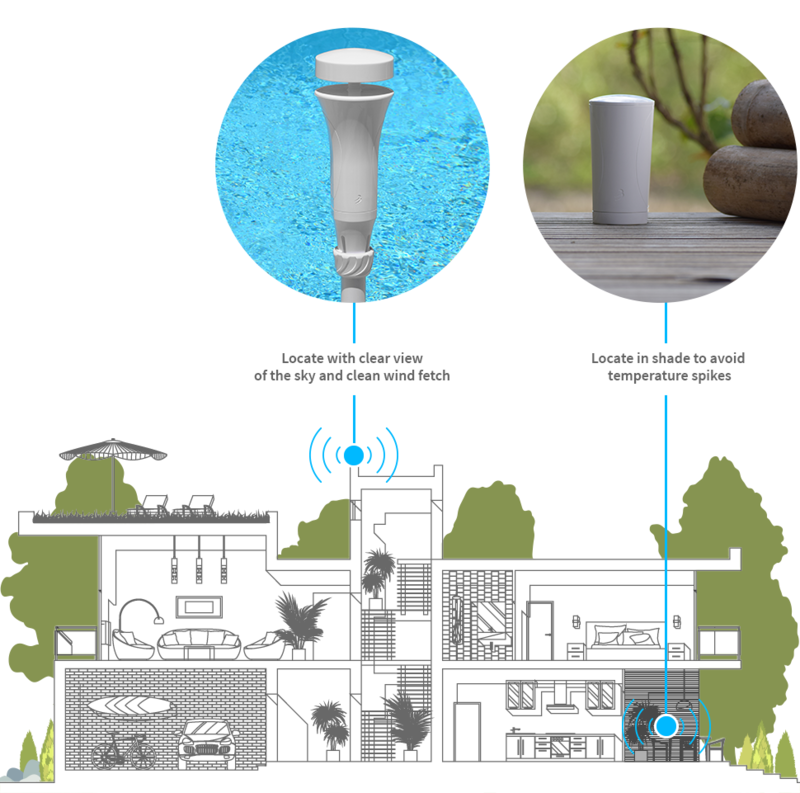 Long range wireless connectivity. Extremely long battery life. View weather conditions in your backyard with our free iOS and Android apps. You can also view data on your personal weather page at smartweather.weatherflow.com, or choose to share and view your data on services like WeatherUnderground and WindAlert. AIR and SKY connect via long range telemetry to an indoor receiving hub. The hub then publishes data to the cloud via your home WiFi network and/or locally to your iOS or Android device via Bluetooth Low Energy. The hub also broadcasts data locally via UDP for direct raw data access. WeatherFlow BREATHE ensures your health and safety by constantly monitoring the air quality in your home.